Peeps, or “stints” if you find yourself in the old world refer to a group of small shorebirds in the genus Calidris (formally Erolia). 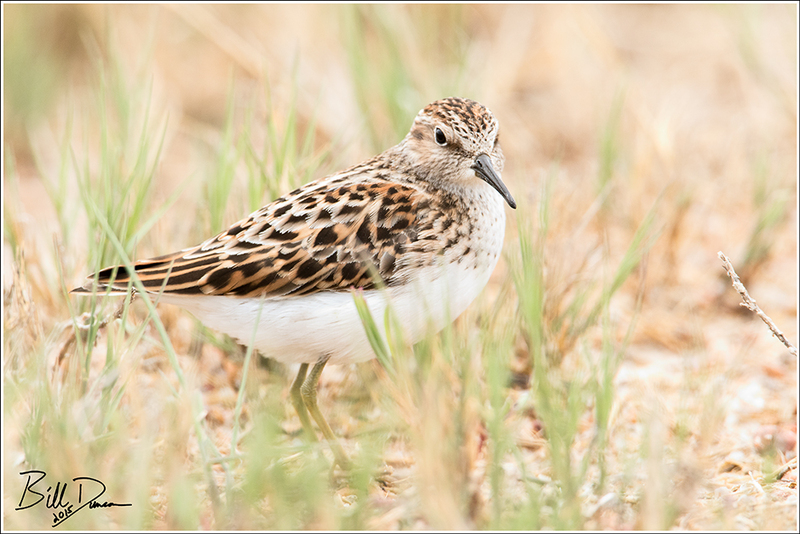 The smallest of the peeps, and therefore, all shorebirds is the Least Sandpiper, which is also one of the more abundant shorebirds to travel through the interior of the United States on its way to its near-arctic nesting grounds. Peeps are notoriously difficult to identify, but much depends on the circumstances. During winter, with few other species or birds available for comparison, it can be quite difficult. In breeding plumage, with other Calidris species in near proximity, proper identification will be easier with a little practice. There are plenty of resources to help you with identification, so I will not repeat those here. 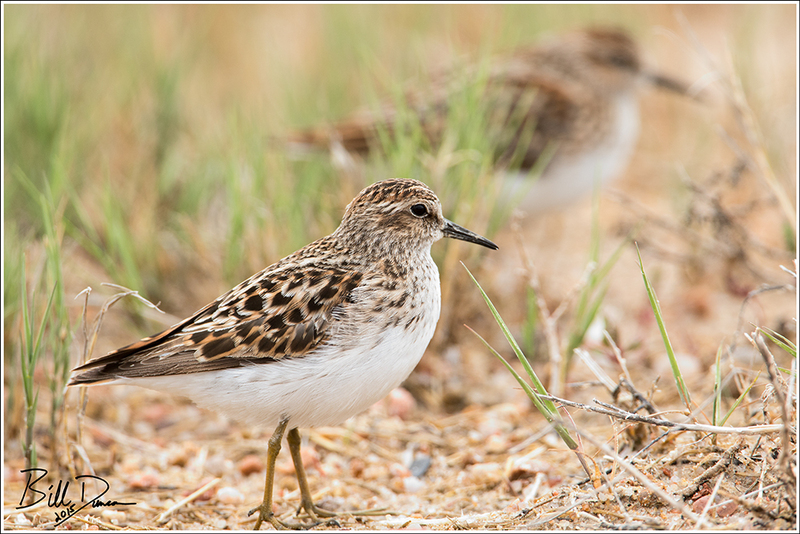 The Least Sandpiper is one of the more tame of the shorebirds, often coming quite close to a patient birder.